100% genuine products with lowest price guaranteed. Hypertherm Plasma Powermax 45,65,85,105,125 at lowest price guaranteed. 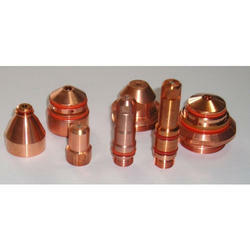 We are a leading name, which is engaged in delivering a comprehensive range of Hypertherm Plasma Consumables Parts. The offered range is available in different customized specifications in accordance with the diverse requirements of esteemed clients. 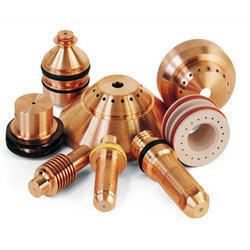 Moreover, the offered range of consumable parts is tested on different parameters to ensure its adherence to the industry laid norms and standards. We offer Hypertherm Plasma Consumables pmx 1650. that are available in different shapes, sizes and specifications as per the requirements of the clients. 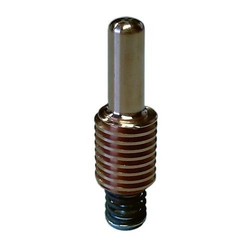 These are manufactured using supreme quality raw material based on latest techniques and mechanisms, which meets the quality standards. These products clients can avail from us at reasonable price. 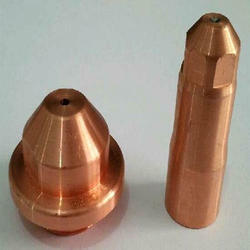 Hypertherm Plasma Consumables Powermax 1650. We are instrumental in offering our clients with this range of Hypertherm Powermax 1000 Consumables. 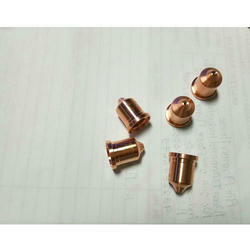 This consumable is a spare part of the very power full and exceptional plasma torches available with us. Customers in need of these consumables can easily avail these from us at the most comprehensive prices. 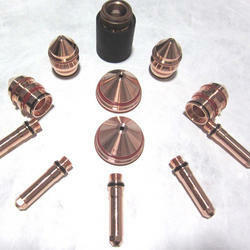 We are engaged in offering a wide range of Hypertherm Plasma Consumables PMX 65. We are a prominent name, which is engaged in delivering a supreme range of Hypertherm Powermax 1650 Consumables. These products offered by us are manufactured utilizing optimum grade raw material, which is sourced from dependable vendors of the market. Moreover, the offered range of consumables is highly known for its features such as durable standards and reliable performance. Incorporated with a wide variety of features & specifications, we are offering our clients a quality assured Hypertherm Powermax 1650. This high quality plasma product can be easily availed from us at the most comprehensive and market leading price range. 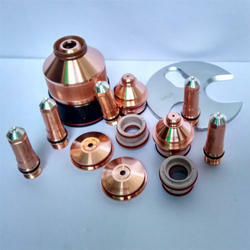 Manufactured utilizing latest machinery and modern techniques, this consumable has been thoroughly checked on different measures for ensuring quality. 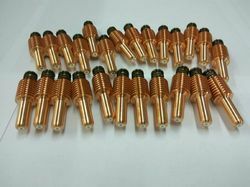 We offer complete range of genuine Hypertherm Powermax Torch Parts, hypertherm plasma torch parts, hypertherm consumables, hypertherm torch consumables, hypertherm plasma cutter parts, hypertherm plasma cutter, hypertherm machine torch parts etc. Air Plasma House. India's largest supplier of Plasma cutting products. We are highly instrumental in the process of manufacturing a high quality range of Hypertherm Plasma Consumables. 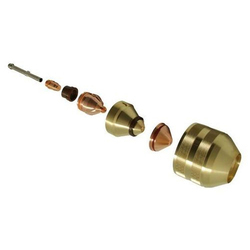 These consumables are extensivey used as plasma torch spare parts and can be availed from us at the most comprehensive and market leading price range. We have incorporated the most high quality material in the making of this whole range. 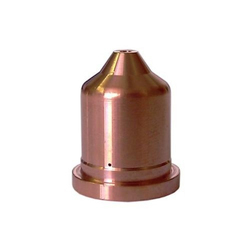 Widely appreciated for its optimum dimensional accuracy and sturdy performance the offered range of these Hypertherm Powermax 1650 Torch Parts has been in wide demand. This range has been manufactured in strict compliance to the standards of the industry in order to suit the applications. 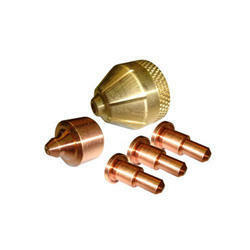 Helping in plasma cutting, this range is durable and heavy duty. It is easy in installation and can be availed from us at the most comprehensive and market leading price range. 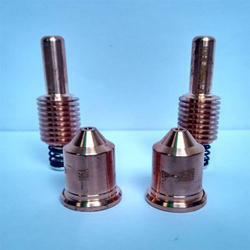 Hypertherm Retaining cap part no: 120928. Looking for Hypertherm Plasma Spares ?